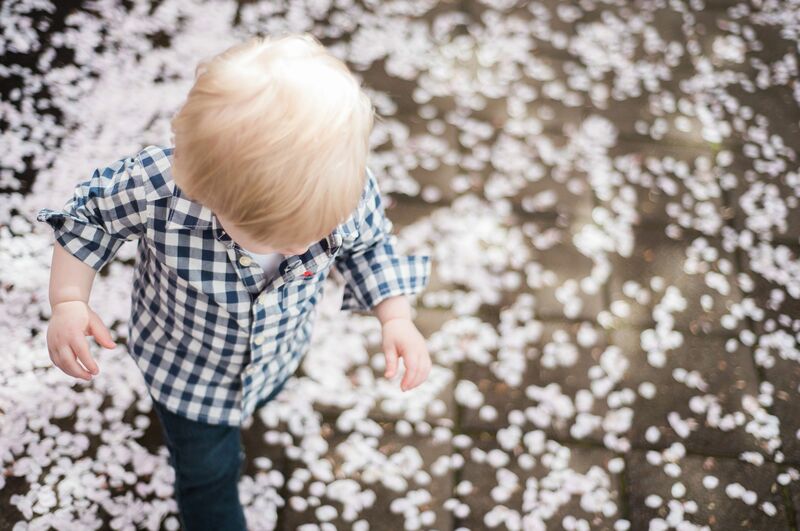 It's raining cherry blossoms in Salem, Ore.! 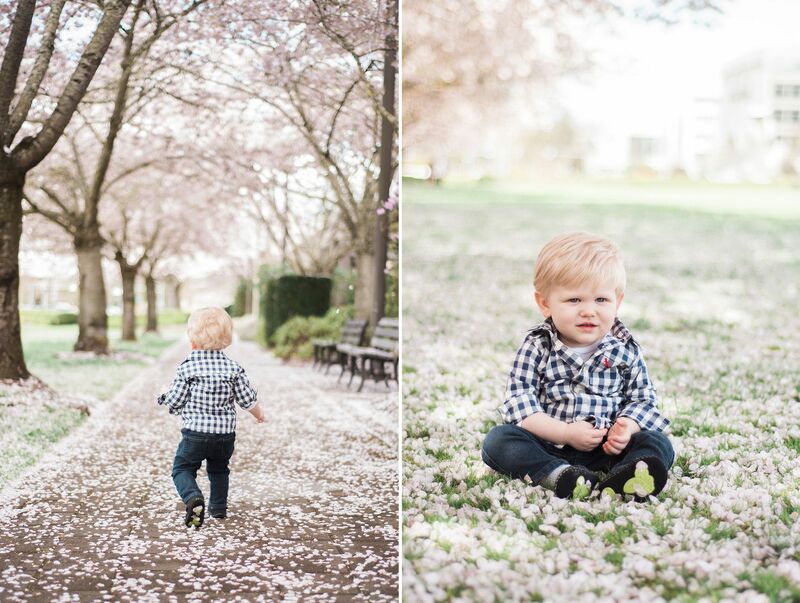 The iconic trees that line the pathways at the Oregon State Capitol Mall have reached their peak and now the pastel pink petals are covering the ground. 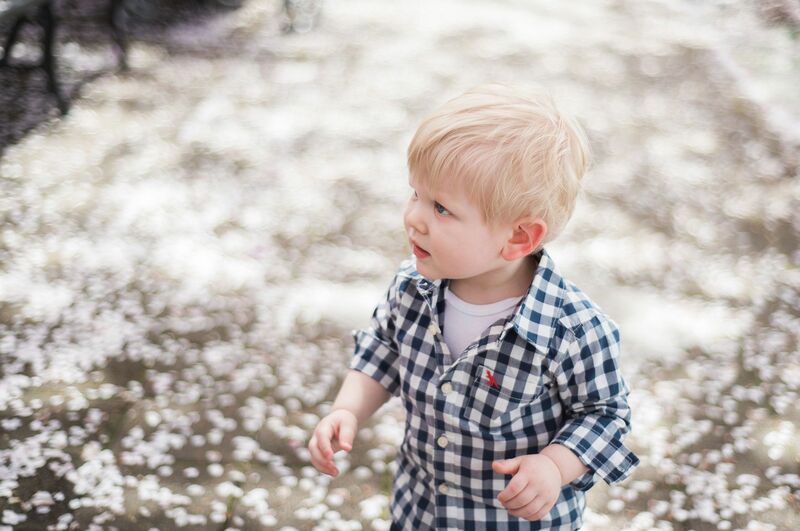 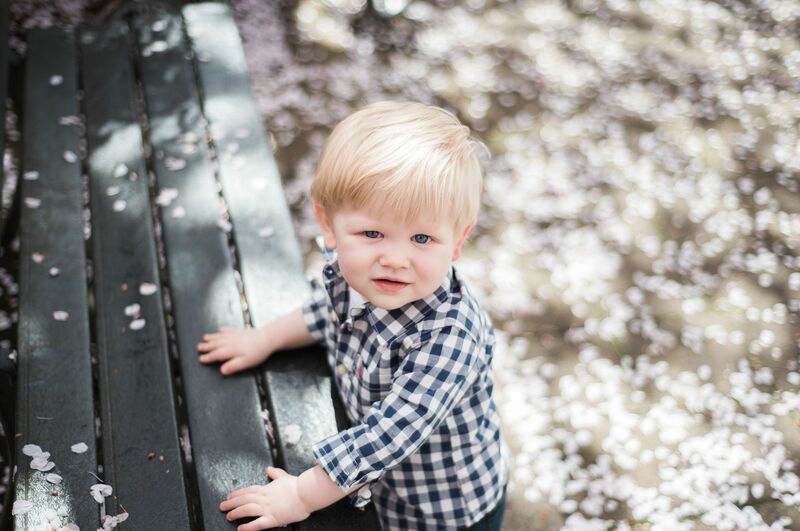 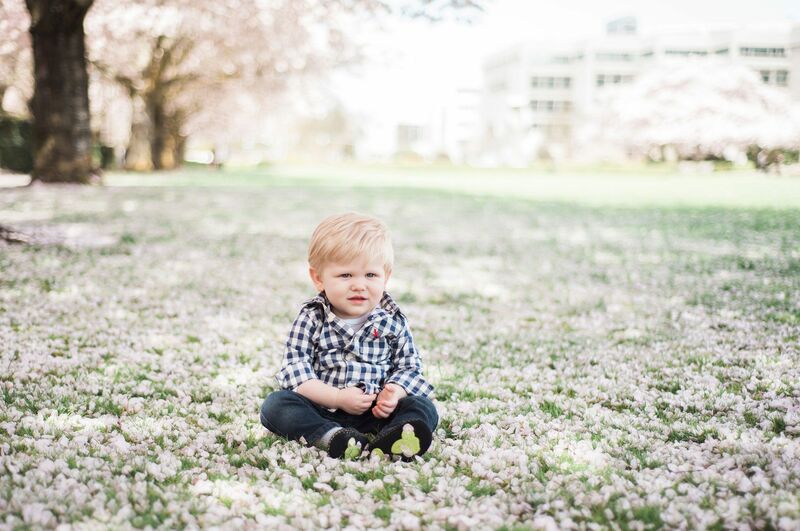 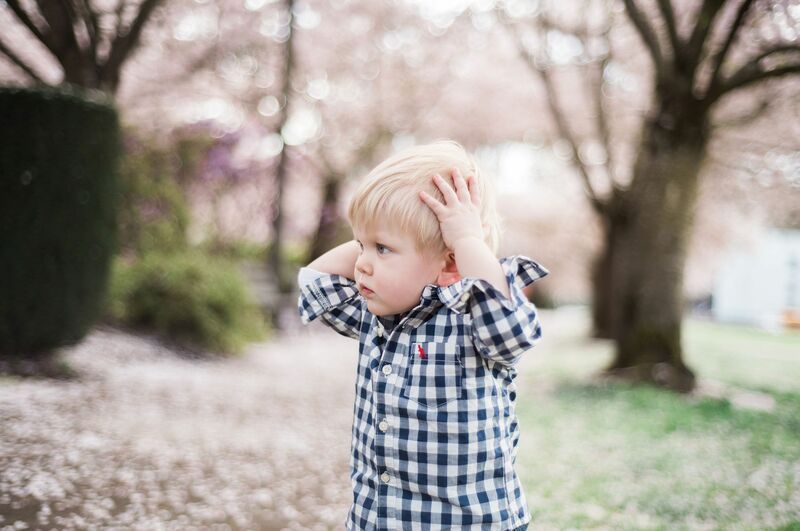 I did an impromptu photo shoot with my 16-month-old son, Benjamin. 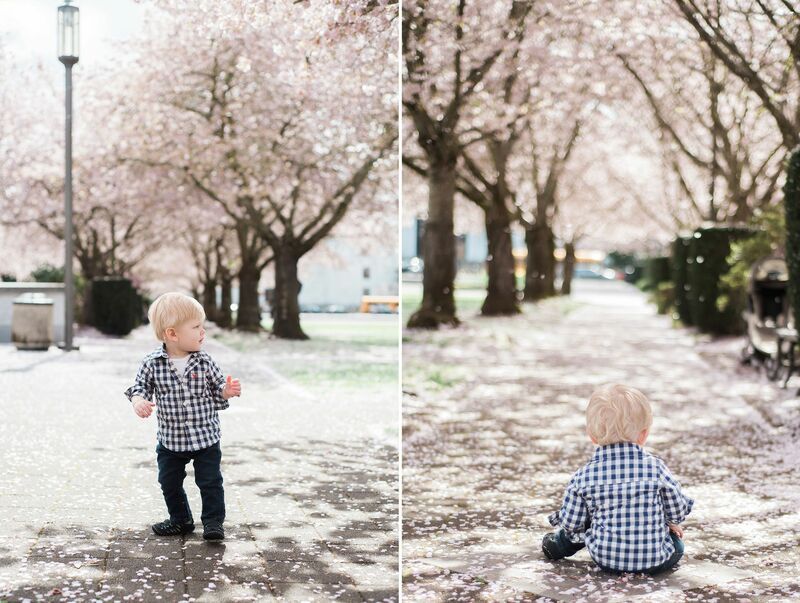 Next spring, I would love to set up some mini photo sessions during peak cherry blossom season.